Hello, my name is Margie and welcome to MY OTHER MOMMY,INC. professional pet sitters. As an animal lover I realized how much fun and how rewarding it would be to start a pet care service. 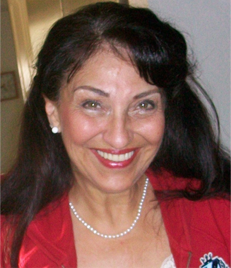 My career has been in the healthcare field as a geriatric nurse and I have lived in Boca Raton for over 20 years. Now I am doing what I have been thinking about for quite a while, having a small family business, MY OTHER MOMMY, INC., with my daughter, Summer. How many people can say “I love my job”? I can! I grew up in northern Wisconsin on a hobby farm and have taken care of an array of animals ranging from exotic wildlife…skunks, raccoons, fox and deer to domestic animals…dogs, cats, and horses of many different breeds. The audience we a reaching out to are people who love, cherish and want the very best for their pets without vet boarding or bothering their neighbors, friends or family. MY OTHER MOMMY, INC. will never be a ‘job’ to us nor will we grow our company to sacrifice the ‘quaintness and quality’ for which our company stands for. Our main objective is to serve you & your pets with unparalleled service of excellence. We will listen and respond to your expectations, needs and concerns that you may have, with expertize and dependability. 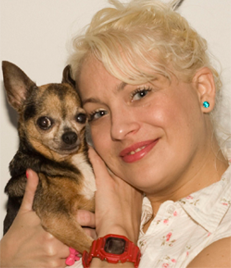 My name is Summer Joy Zawistowski and I have 2 chihuahuas, Gordita (15) and Tequila (7). I was born and raised in South Florida. I’ve had dogs from the day I was born and cannot imagine my life without them. My mother and I have been pet sitting for over 10 years taking care of a variety of pets for friends, family and neighbors. Now we’ve decided to make a business of it by starting, “My Other Mommy”. Why not do something we both love and are passionate about? We are very blessed and incredibly happy to have a job doing something we love. I consider myself another “mommy” because of the way I care for other people’s pets when they are away from home. We treat every animal as if they were my Gordita and Tequila and will love yours just like you love them (I can’t help myself!!). We will always go above and beyond for the pets in order to ensure that they are comfortable and maintain continuity with their home routines. We look forward to meeting your pets and you.